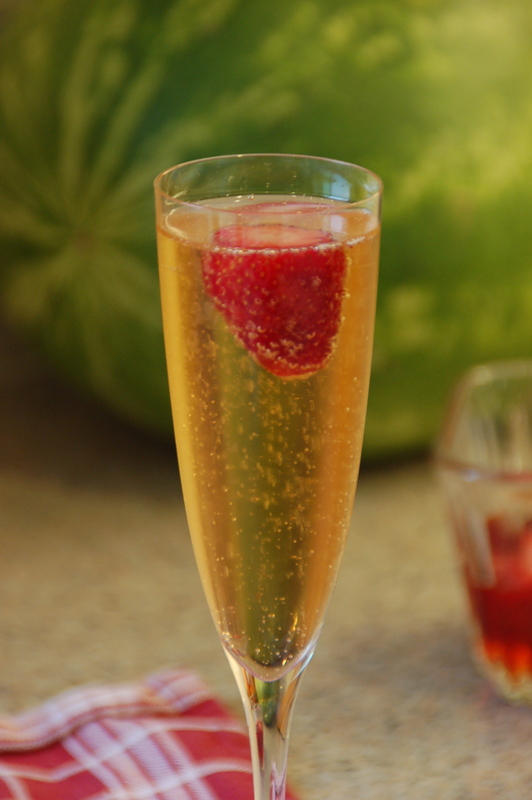 If you are hosting an Easter Brunch this Sunday, surprise your guests with this pleasing twist on the traditional Bellini. Although usually made with a fresh peach, we are currently in strawberry season. Every berry I've tasted is so sweet that I just had to find another excuse to use them. Step 1: Clean your strawberries and cut the tops off. 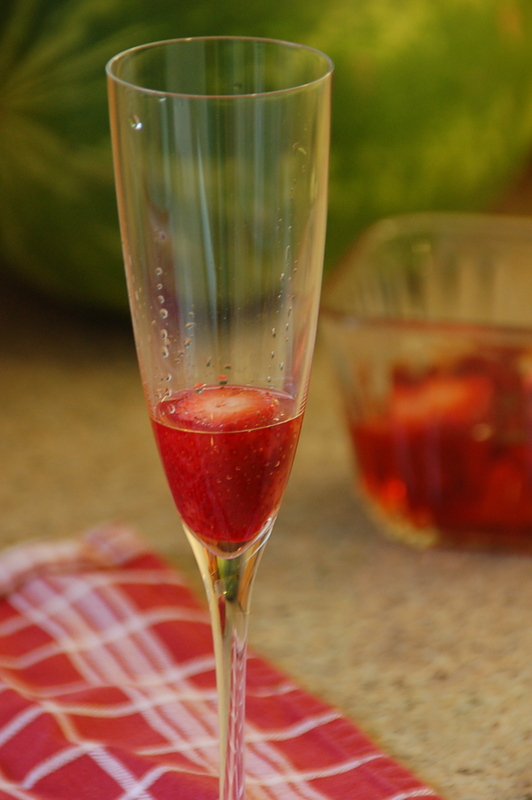 Step 2: Place the strawberries in a small dish and pour in peach schnapps until strawberries are submerged. Soak overnight, rotating once or twice.